We take the time to do it right! 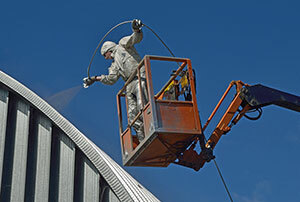 Schout Painting is your one stop shop for a variety of industrial applications. We have the scaffolding, lifts and team with the experience to get it done properly. We guarantee timely project completion and professional service, and we're bonded and insured, so it's risk-free!